Meteorologists predict the Earth's weather using the world's fastest supercomputers to generate sophisticated models, along with devices within weather stations that measure variables such as temperature and pressure. One of the most important measured variables is temperature. The type of thermometer used to measure temperature varies depending on the specific weather station. The mercury thermometer is a device commonly found within amateur weather stations. It consists of a glass bulb connected to a stem, in which liquid mercury is placed. 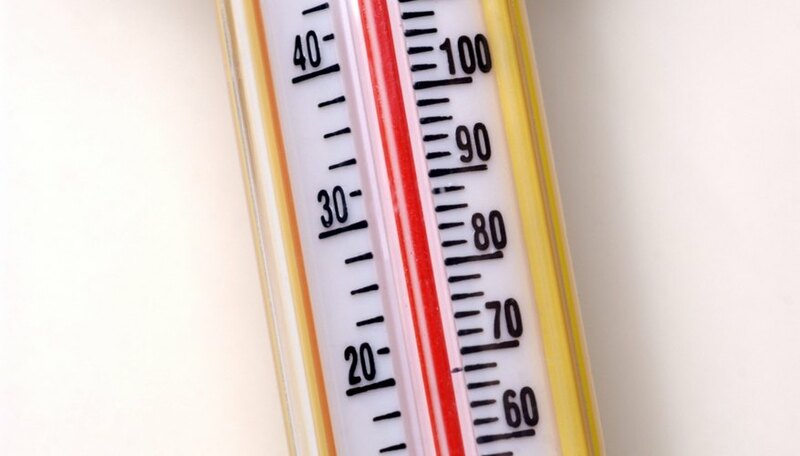 As the temperature increases, thermal expansion causes the mercury volume to increase and extend along the glass tube. A scale is written on the glass tube, allowing the observer to read the temperature in Celsius or Fahrenheit. 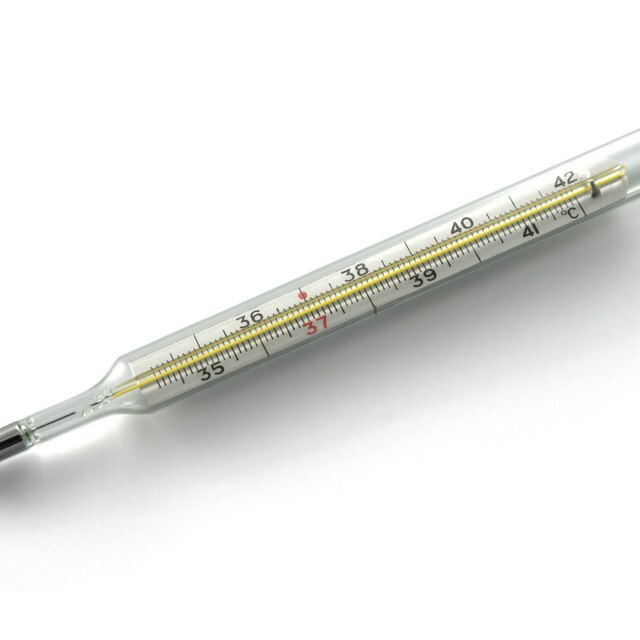 Amateurs tend to favor mercury thermometers because they are cheap and easy to handle. Their main disadvantages are a slow response time to temperature change and the need for manual reading. Electrical resistance describes the process by which electrons scatter within metallic wires. Temperature drives the amount of scattering, and this property led to the development of the resistance thermometer. This device consists of metallic wire such as platinum, which is wound into a coil and mounted within a steel tube. The measured resistance is directly proportional to temperature. The coil connects to associated electronics that display the temperature on a liquid crystal display. Resistance thermometers have faster response times than their mercury counterparts and are now the standard in professional weather instrumentation since they allow the automatic logging of temperature onto a computer. The data are then transmitted to a local meteorology office headquarters for analysis. A bimetallic strip thermometer consists of two strips of different metal bonded on top of each other. Because different metals expand by different amounts, a change in temperature leads to a bending of the bimetallic strip to a significant angle. The angle of deflection is proportional to the temperature change, and hence the strips are used in combination with a dial-like scale. Bimetallic strip thermometers are used in a variety of applications, from thermostats to outdoor thermometers. A constant volume thermometer features a bulb containing a fixed amount of gas, connected to a mercury manometer, or pressure gauge. As temperature increases, the pressure of the gas changes, and a mercury manometer measures that change. Although constant volume thermometers are not used in weather stations directly, they are among the most accurate instruments used to measure temperature and are therefore often used to calibrate more common thermometers. Markings, Samuel. "Thermometer Used in Weather Stations." Sciencing, https://sciencing.com/thermometer-used-weather-stations-19389.html. 25 April 2017.